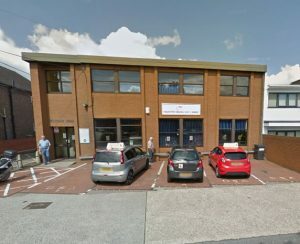 Provided are contact details for Tolworth Driving Test Centre, test route tips, test booking information and help passing the driving test in London. Test Centre Details: Ramp access to Tolworth Driving Test Centre for wheelchair users. Male and female toilets available. Car parking facilities available, though spaces are limited. Many road types and conditions will be experienced on the driving test from Tolworth Driving Test Centre. Expect busy urban roads and high speed ‘A’ roads such as the A3 dual carriageway. Included in these roads are roundabouts from small mini roundabouts to large multi-lane systems. Crossroads and junctions of varying sizes will also be present. Residential streets often feature presenting an ideal location for one of the possible four test manoeuvres. The roads represent an ideal location for the examiner to test your ability at meeting oncoming vehicles whilst on narrow streets (see passing parked cars). The test may incorporate the emergency stop procedure. This exercise has a 1-in-3 possibility of being requested. The independent part of the driving test will require around 10 minutes of test time to complete. The practical driving test from Tolworth features many challenging roads, routes and roundabouts. Browsing the Tolworth driving test routes will offer you an insight into the various routes and roads likely to be taken on the test. Focus on the difficult areas of test routes to gain a better advantage. Knowing each and every test route isn’t essential, though gaining an understanding of the particularly difficult areas of the test routes often proves beneficial. Examiners who conduct the tests develop the test routes for their test centres with the intention of taking the test candidate through as many varied road types and traffic systems as possible, within the time given. Details on how to book your test are found below. During the booking procedure, you will be required to provide information from your theory test pass certificate and provisional driving licence. Test availability dates and times will be shown whilst making the booking. Driving tests can be booked by telephone where an automated service will take you through the process. 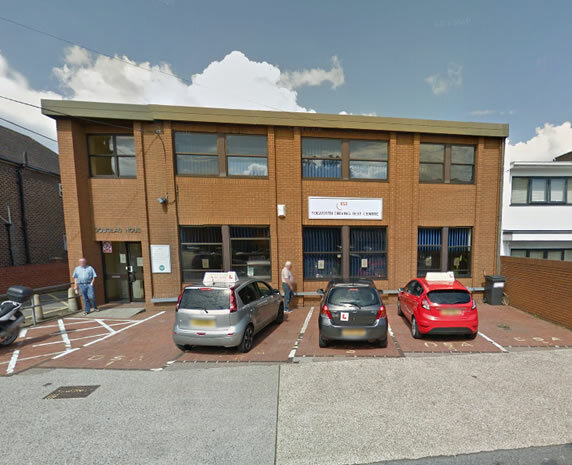 The book a driving test section details the process and telephone numbers needed to book a test at Tolworth Driving Test Centre. If you require a person to speak to, a Driver and Vehicle Standards Agency (DVSA) assistant can be reached by following the prompts. The majority of test candidates book their driving test over the internet as the available free test slots are made visible to be taken. To make a test booking at Tolworth Driving Test Centre, see the book a driving test section. For driving test booking and test amendments such as rescheduling or cancelling, please only contact the DVSA as above. Test centre staff may be contacted directly if you have a question that directly relates to your test – examples may include an issue with your test vehicle (see cars for the driving test), or if a test is still going ahead due to bad weather (see driving tests in bad weather for further information). Your test centre contact telephone details (including Tolworth Driving Test Centre) may be located driving test centre contact numbers section. Help others by telling them your experience of your driving test and write a review of Tolworth Driving Test Centre. Let us know if you passed or failed your driving test. What was the test centre like, did it had adequate facilities? What were the test routes like and how was your examiner? It’s quick and simple – no signup necessary and only your nickname will be displayed. To ensure your review meets our guidelines, please read our Terms and Conditions prior to submission.